Nick: How did CrashPlan begin? Matthew: Every great piece of software starts with a programers itch, a niche, where something that you want that the computer does not do. My case, new daughter. I had one of the first digital cameras and it took crapy photos, but it was the only photos I had and I ripped my music collection from CD to MP3 that I cared about, and too much work to replace. So I thought about how to back that up. While I could go to a hard drive, but what if that fails? I could go to a RAID a series of drives where if one fails the other one still works. Well, that’s good but I live in Minnesota and if I put it in the wrong place, lighting or a flood, I could still loose it all. So it had to be off site. I started to look at off site backups and no one was really doing anything. There was one company that looked like they might be doing it, but I did the math and it looked like even if it worked, it would cost me like $10,000 a year – WOW! I don’t have $10,000 a year. All I want is my stuff at your house for free! So I went to work, talked about it with a couple of my friends and said, “Wouldn’t it be cool if” and we said “Yea, that’d be easy”. So we started building it, and then we found out after two years later that it wasn’t that easy. Three years went by and we realized this really wasn’t easy its hard, but eventually we built it. We came to MacWorld in 2007 and said, ” Hey guys you should try this!” They gave feedback and we just listened, added more features, got more money, and did that year after year. Nick: What would you put in the next release of CrashPlan? Matthew: The next thing is that we need to put in what our customers are demanding and we keep track of what they ask for. They want to be able to backup there photos to the hard drive and their finances to the cloud. 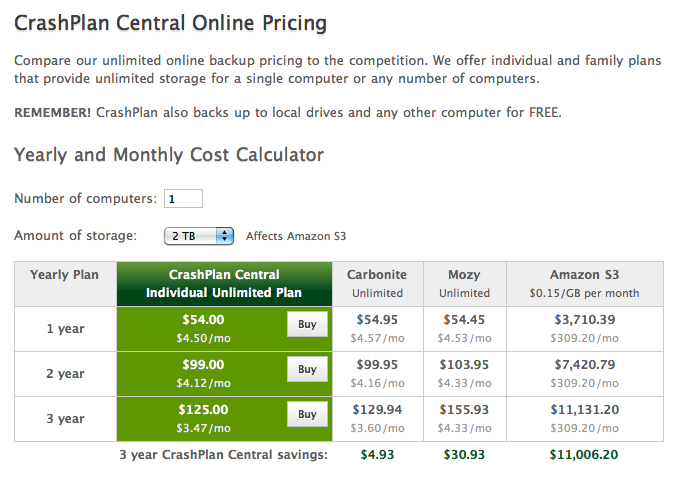 Right now, CrashPlan lets you backup, but they have to be in both spots. So finance and photos have to be on the hard drive and on the cloud. So, we want to implement backup sense where you can choose what you want to backup where. There are many key points about the launch of CrashPlan: Original itch, you have to have a passion, then you build it yourself, the second thing is unrealistic sense of optimism – they thought that building CrashPlan was going to be easy. They were stubborn and kept building and now we have the best backup software in the United States. About 1 in 3 people use CrashPlan to backup there computers outside the United States. I want to thank Matthew for taking time out of his busy schedule to talk to me. He not only talked to me about CrashPlan, but he also helped me with questions I had about programming and helped point me in the right direction. If you would like to check out CrashPlan, you may do so by clicking the link CrashPlan.